Faber was born in the Netherlands and moved permanently to London at a young age with his father, the engraver John Faber the Elder. 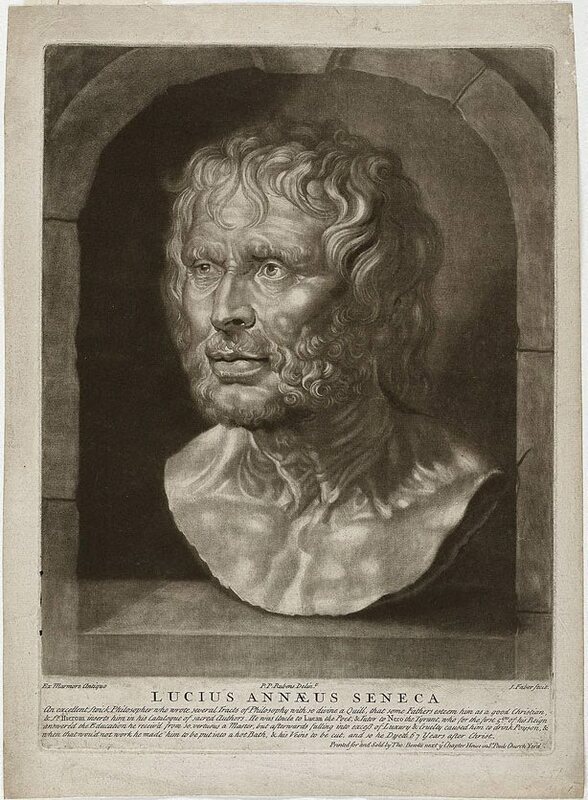 Faber probably based this mezzotint on one of the engravings of antique busts that were executed under Rubens's supervision in the 1630s. The marble bust of Seneca depicted here was in Rubens's own collection.